Welcome to The Gardens!!! 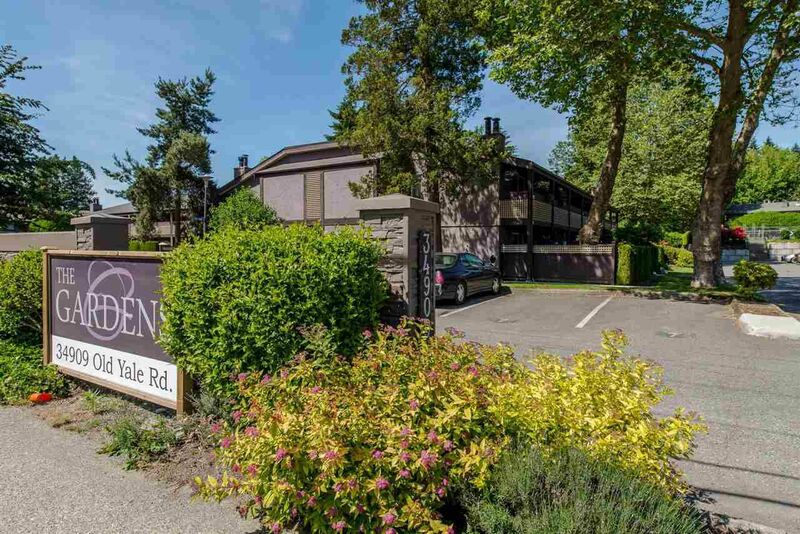 Located in east Abbotsford across the street from Abbotsford Recreation Centre where there is a gym, walking track, skating rink(s), swimming pools, and much more offered there! Very close to Ocean Park Pizza, M&M Meats and many more stores in the strip mall you can walk to in 2 minutes! Yale Secondary School, public transit, Sneakers Sports Pub and Great West Fitness all within walking distance and also easy highway access for the commuter. Enjoy catching some sun and having fun in the complex's outdoor pool area, or stroll through the gardens in the complex! This unit is a ground level end unit with 2 bedrooms, 2 bathrooms and just over 1,000 square feet. Great place for a young family to get started or also a great option to downsize to. Don't wait ! !